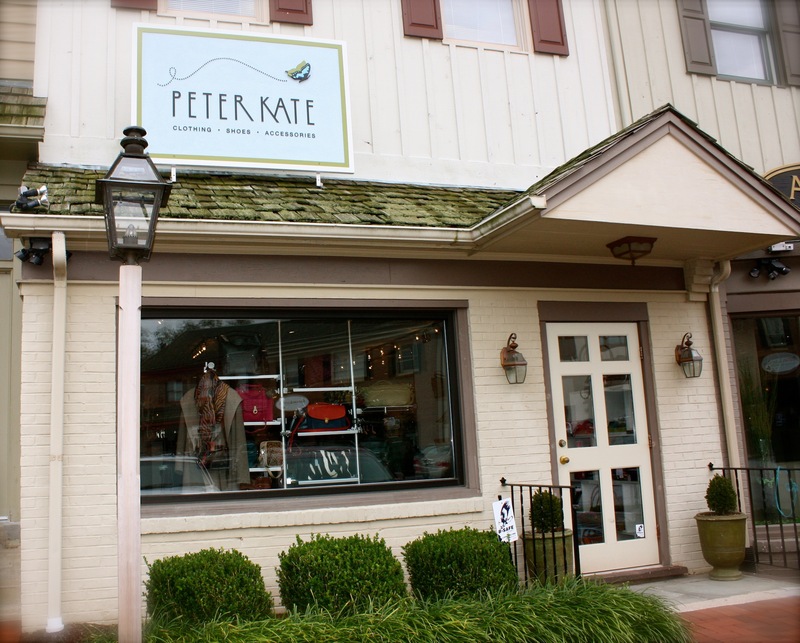 Peter Kate, a unique boutique located in beautiful Greenville, Delaware was established in 2001 by Mother and Daughter entrepreneurs Kathy Savage and Sissy Harris.At Peter Kate, the entire staff takes pride in offering the most unique shoes, handbags, clothing and accessories in the area. Their designs range from casual to formal – hip to conservative without ever compromising quality. Couture designers as well as some fresh talent grace the collection. Each year Peter Kate features several designers for seasonal trunk shows and previews. Bettye Muller, Tory Burch, Vince, Theory, AG Jeans, Kate Spade, KORS, Diane Von Furstenberg, Rebecca Minkoff, Longchamp, Autumn Cashmere, J Brand, Madison Marcus, Elizabeth and James, Marika Charles, Botkier, Lilla P, Velvet, Splendid & much much more. An upscale, welcoming atmosphere greets clients of Peter Kate, a fashion stop for fashionistas including the Second Lady, Jill Biden. Lines Include: Bettye Muller, Tory Burch, Vince, Theory, AG Jeans, Kate Spade, KORS, Diane Von Furstenberg, Rebecca Minkoff, Longchamp, Autumn Cashmere, J Brand, Madison Marcus, Elizabeth and James, Marika Charles, Botkier, Lilla P, Velvet, Splendid & much much more.